This is one of my favorite school projects. Last year, I wanted to move into Project Based Learning as a way to teach our Social Studies standards while also incorporating Reading and Writing. My teacher friend, Katie helped me out with some great ideas for how to get started. See how I teach my first PBL of the year…. Going over rules is an important part of any classroom. And, it’s something that has to be done in every class at the beginning of the year. The first few standards we typically tackle in Social Studies had to do with community, rules, etc. So, instead of the same old boring here are the rules, here is why we follow them…Johnson Elementary was born. The kids are introduced to this project by finding out that they will be teachers at Johnson Elementary. I am the principal – Principal Johnson and they quickly become Miss ____, Mr. ____, etc. The excitement that builds just from this announcement is amazing! Buy in happens instantly! Next, we talk about the school we’re opening and what classes our school will have. The teachers (students) get to pick what class they are teaching. We’ve had math, kindergarten, roller blading, ballet, science, cooking, Legos, Minecraft, etc. I’m pretty flexible on what they can teach. I want them to have fun and pick something they like. Here’s the cover page of our PBL Packet. The Essential Question we focus on is – How do rules help people function in a community and school? On the next page, “teachers” give more information on the class they teaching. They tell me what they picked and why. They also create a list of a few things they will be teaching in their class. Before starting this we look at a few pictures/maps of classroom online. We talk about making sure you have things you need to teach and things your students will need to learn. “Teachers” start by brainstorming a list of things they will need to have in their classroom. Once they have finished brainstorming, they draw their classroom map on the next page. Before the “teachers” write their rules for their classroom, we research class rules. We read Officer Buckle and Gloria, read an article from ReadWorks on rules, and look at multiple examples online from many different types of classrooms. We even brainstormed a ton of rules on our circle map below. We talked too about a good number of rules. We thought 40 would be too many for kids to remember and 1 rule was not enough. So, we decided to keep the rules between 4-10. In addition to rules in the classroom, we talked about other places that needed rules and expectations. 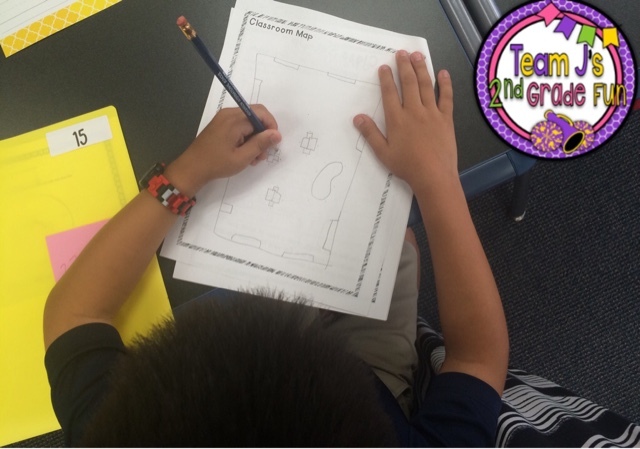 We decided to focus on the bathroom, hallway, playground, and lunch room. The students broke into groups of 4-5 and worked with their group on expectations for their area. They first brainstormed some ideas. Then, they came up with again 4-10 and explained why they picked them. The last piece was presenting. Each group presented their expectations to the class. They did awesome! Great first presentation to the class. After completing the project, students then went back to the Essential Question and explained why rules are necessary in schools and communities. I created the rubric below as a way to score this project. This is our first PBL so it includes less pieces than some of our later ones, but I wanted to be able to identify how they did on each area – especially the Essential Question. Most kiddos did great! They really understood why we had rules – safety, keep things fair, etc and really enjoyed this project. Do you use PBL at your school? What’s the first project you do with your students?